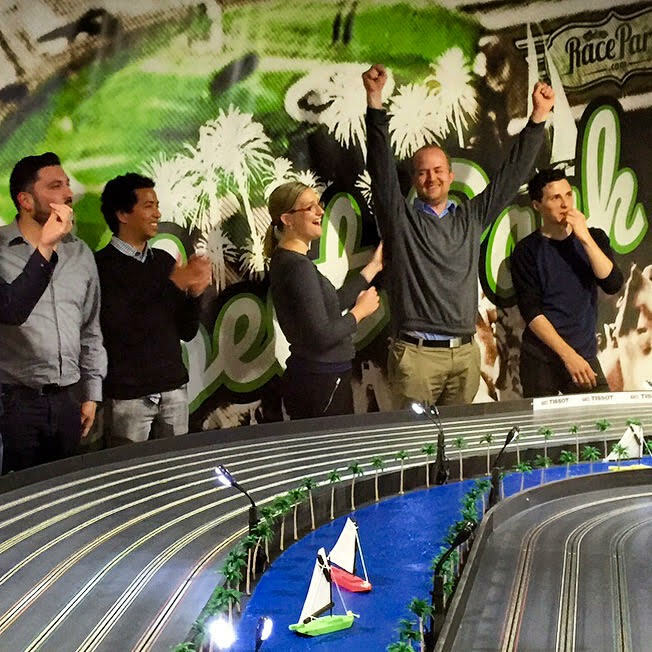 At Race Party, we understand the importance of team building activities for work, and we believe we offer the most fun and hassle-free team building activities in Melbourne. 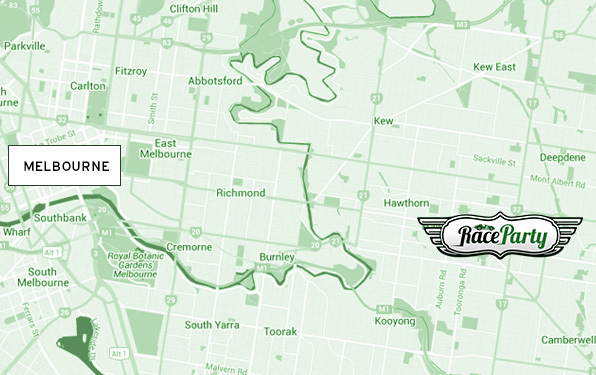 At Race Party, we’ve gone the extra mile to create a service that is entirely convenient and customisable. You have the option of booking a full 9-5 teambuilding day, or simply working the team building into a standard working lunch with our convenient ‘Pit Stop’ lunch package. This fun team building event in Melbourne is easy to arrange and more affordable than you’d expect – and it’s bound to make you the most popular person in the office! If you’ve been tasked with organising team building activities for work, and need some inspiration, instead of booking the same old activities year after year, why not take a look at some of the different team building ideas Melbourne based Race Party has to offer? 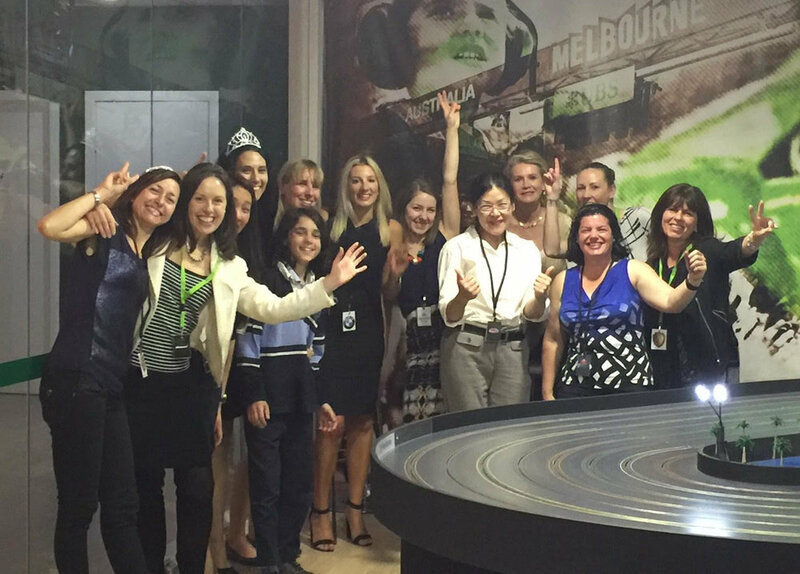 We’ve not only got some of the most fun team bonding activities Melbourne has available, but we’re experts in helping to get your event off the ground and to keep it going throughout the proceedings. And this is because, every team building event held at Race Party comes complete with your own personal dedicated event host who’ll ensure that the energy and enthusiasm is kept high from start to finish. Unlike some team activities Melbourne has to offer which rely on teams working cooperatively to come out as the winners, we like to add a little competition into the mix too. After all, we all love to be winners, don’t we? We specialise in offering fun and exciting team building ideas which will not only help your team to bond, but which will encourage some healthy competition too. And with plenty of opportunities to plan team strategies, support your team members and provide assistance in running the race timetable, it will enable you to see where each member of your team’s strengths and weaknesses lie, but in an entertaining and sociable environment. If you’ve ever booked some of the more usual team building activities Melbourne has to offer, you’ve probably had some people complain that they weren’t physically capable of completing the course, or that the activities were too physically challenging. Our slot car racing enables people of all physical capabilities, no matter what their age, or whether they’re male or female to have an equal chance of winning. Of course, there are strategies involved and some people just seem to have a knack for racing and winning, but as the whole emphasis of the session is on enjoyment and excitement, it’s easy to encourage everyone to participate and have fun. When it comes to team building, Melbourne based Race Party know what it takes to create activities which are not just a whole lot of fun, but which will help team members to bond. Research has shown that a company is more likely to be successful if its staff have close relationships with their colleagues, and our team building days provide the perfect opportunity to do that by providing collaborative team based activities outside of the work arena. Who would have thought that driving cars around a track would result in improved relationships, increased morale, more productivity and greater efficiency?